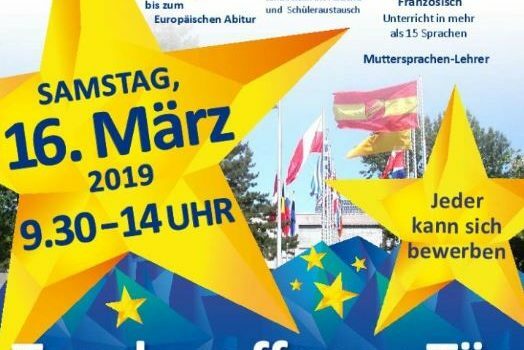 The European School Karlsruhe invites all interested to its Open day. During this major event you will have the opportunity to visit the whole campus and learn more about interesting projects from the pupils and exchange with the qualified native speaker teachers in the Kindergarten, Primary and Secondary School. Our administration staff will be present in the information centre (Aula) to answer all questions and provide you with further details regarding enrolment at the European School Karlsruhe.